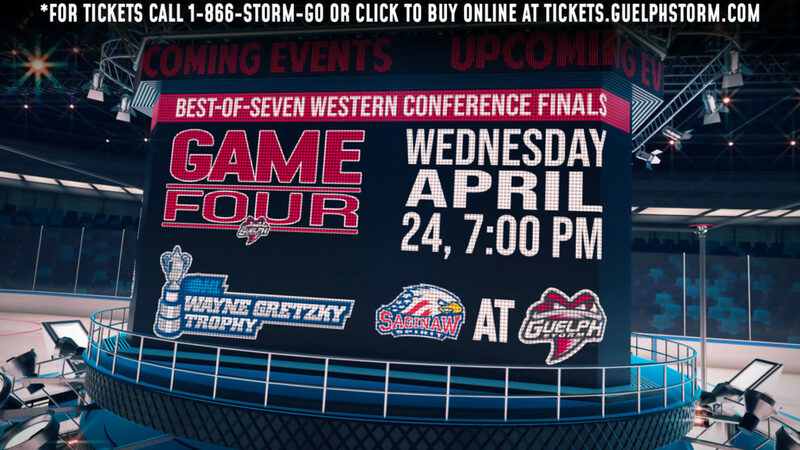 On Friday evening at 7:30pm, the Guelph Storm will face-off against the Owen Sound Attack at the Sleeman Centre. Guelph is heading into Friday’s game in 4th place in the Western Conference after a tough loss to the Niagara Ice Dogs on Sunday January 20th by a score of 4-3. Owen Sound is heading into the matchup right behind the Storm in 5th place in the Western Conference after losing all 3 games last weekend to Guelph, Mississauga and Kitchener. Friday’s meeting will be the 7th meeting of the season between the two teams, with both of them holding a record of 3-3-0-0. 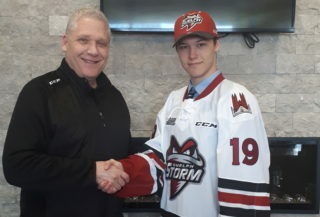 Friday’s game will see the return of former Attack players in the lineup for the Guelph Storm. Zachary Roberts, Nick Suzuki, Markus Phillips and Sean Durzi will play against their former team after being traded to the Guelph Storm earlier this month. 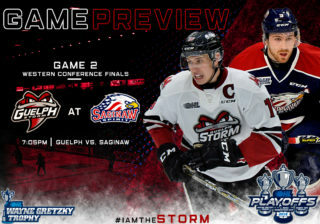 Some returning players for the Owen Sound Attack will face-off against their former team as well as Barret Kirwin, Mark Woolley and Zach Poirer make their return to the Sleeman Centre to take on the Storm. 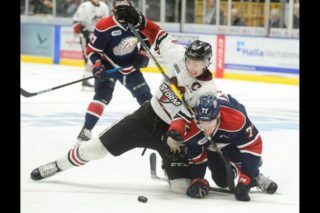 Guelph will head to Erie to take on the Otters on Saturday January 26th at 7:00pm before they play a rare Wednesday night game against the Saginaw Spirit at 7:00pm at the Sleeman Centre. Guelph will then head to Ottawa and Kingston to finish off their weekend of games.